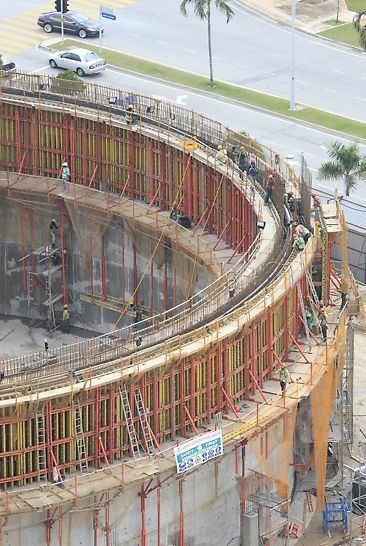 The 33.70m high circular tank for cooling water storage has in internal diameter of 45.50 m, and was constructed using in-situ concreting operations. The 75 cm thick reinforced concrete wall is vertically reinforced by means of four pilaster strips - in the ring wall integrated buttresses, each 1.40m thick and 4.20m long. Walls to be constructed to withstand large amounts of pressure and there should not be any leakage. 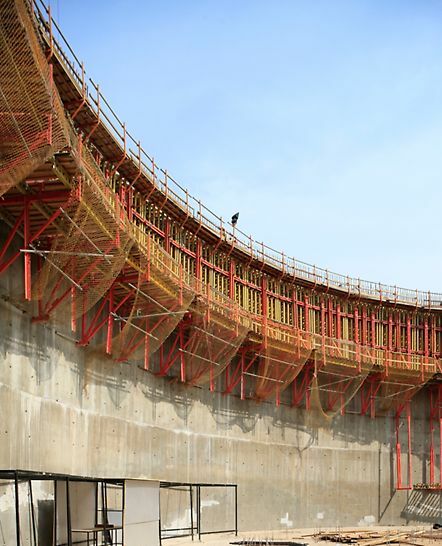 The shape of any tank poses a challenge to many "conventional" formworks as they may not be able to support the curve of the walls or even spherical shapes. 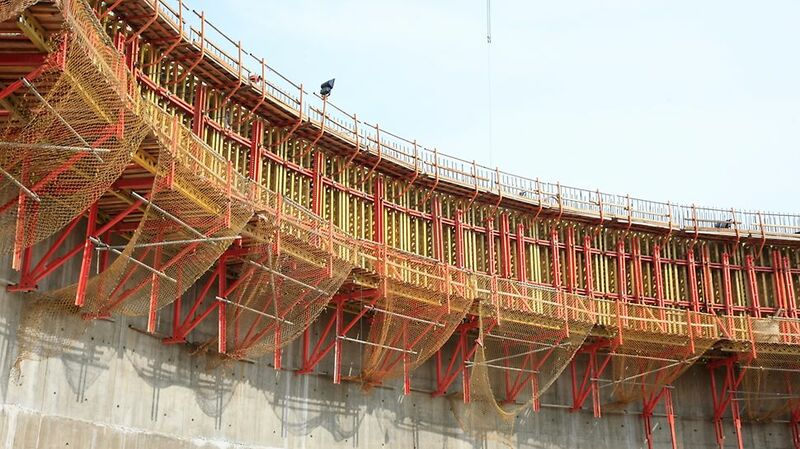 With the support provided by PERI Formwork Instructor, a total of 128 VARIO panels were accurately produced on the assembly area of the construction site. The friction-locked connections between the steel walers were achieved by means of VARIO articulated couplings while the additional infill spaces provided the exact curvature of the formlining. With a height of 4.25m for each casting, we managed to finish the entire wall casting in only 8 sequences. 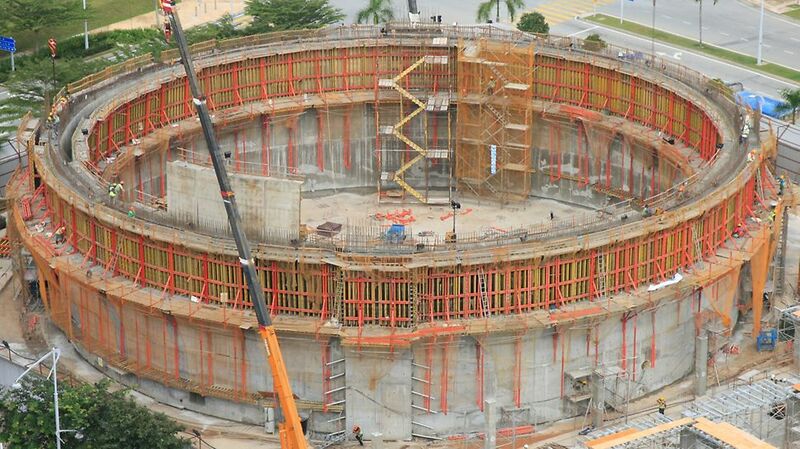 For a project like this, the right choice of formwork system is tremendously important. We decided in favour of PERI because the systems are easy to use and ensure safe operational sequences. 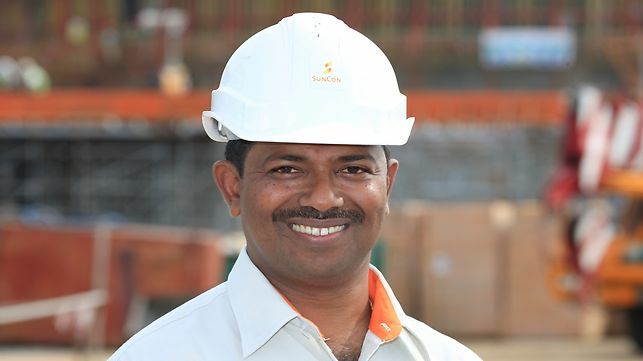 In connection with the PERI implementation planning and the construction site support, we can achieve fast cycle times. PERI engineers designed a customised formwork solution comprising of VARIO Wall Formwork, CB240 climbing system and SK Tie system.